I’m trying to catch up after having surgery a few weeks ago. While I haven’t posted in a while, I have been trying new recipes and hope to be caught up soon. This is the recipe for week 8 of the 52 Week Recipe Challenge. This Mini-Chip Pound Cake is a recipe I’ve wanted to try for a long time. I’ve had the cookbook, Favorite Brand Name Bake Sale Recipes, for many years and have enjoyed other recipes from it. I made it for a pot luck function at our school just before my surgery. It was delicious and well received. It would also be a great dessert for Sunday dinner. This photo was taken before I sprinkled the powdered sugar. You could also make a powdered sugar or cocoa and sugar glaze. I got a number of compliments on my Bundt pan. It’s one of my favorite shapes and I use it often. This recipe can also be made in two loaf pans. I may try that next time! 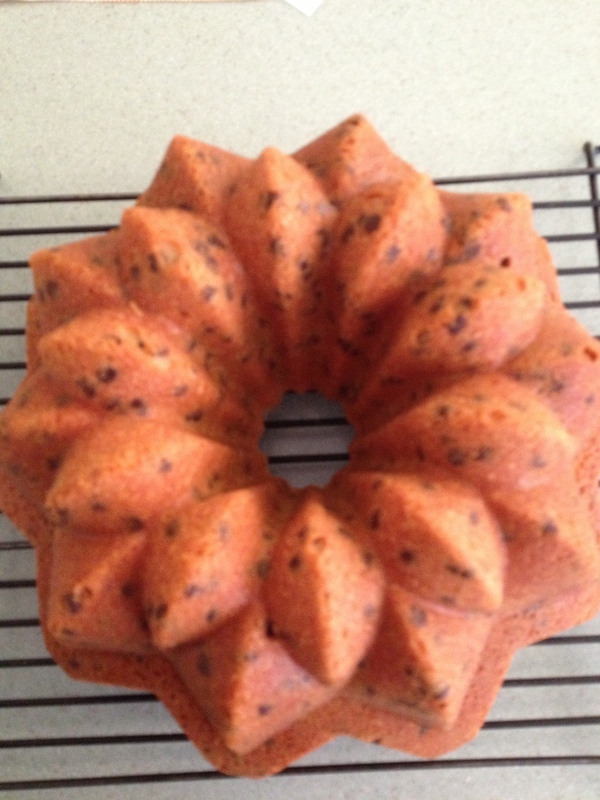 This entry was posted in 52 Week Challenge, All-Occasion Cakes, Company Worthy, Desserts, Entertaining, Pot Luck, Sunday Dinner and tagged Bake Sale Recipes, Bundt pan, Chocolate chips, pound cake, Powdered sugar. Bookmark the permalink.